The European Union has failed to endorse the results of the referenda in both Spanish Catalonia and Iraqi Kurdistan, which is striking given that referenda are supposedly democratic expressions of popular will. These are heady times for regional sovereignty. In the past couple of weeks alone, we&apos;ve seen two independence referenda, both held by historically repressed ethnic minorities in the disproportionately prosperous regions of Spanish Catalonia and Iraqi Kurdistan. Both referenda resulted in an overwhelming "yes" vote for independence. 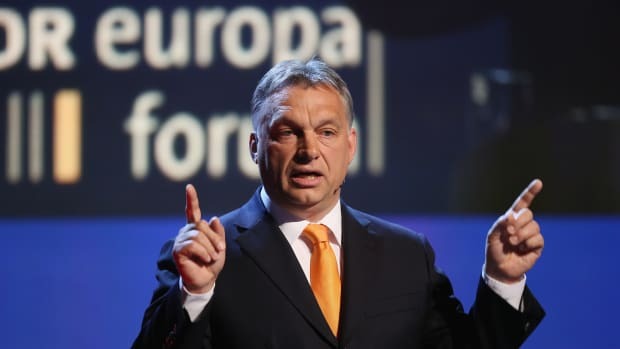 The European Union, however, has failed to endorse the results of either referendum, which is striking: Given that referenda are supposedly democratic expressions of popular will, why would the E.U., a supranational organization often accused of having a democratic deficit, play into an undemocratic trope by disavowing the results of popular votes? The E.U.&apos;s tepid response to the October 1st Catalonia referendum, which garnered a turnout rate of only 42 percent, is motivated by a desire to maintain the E.U.&apos;s territorial integrity and to avoid strained relations with a country whose economy and population are the fifth largest in the E.U. The Spanish government and the Spanish head of state, King Felipe VI, have made it abundantly clear that they view the referendum as illegal. What&apos;s more, pro-Spanish sentiment is rising among Spanish citizens outside of Catalonia. Thus, any pro-referendum sentiment on the part of the E.U. would likely draw backlash from the majority of the population in one of the few E.U. member states whose politicians and citizens have consistently resisted the siren song of euroskeptic populism. 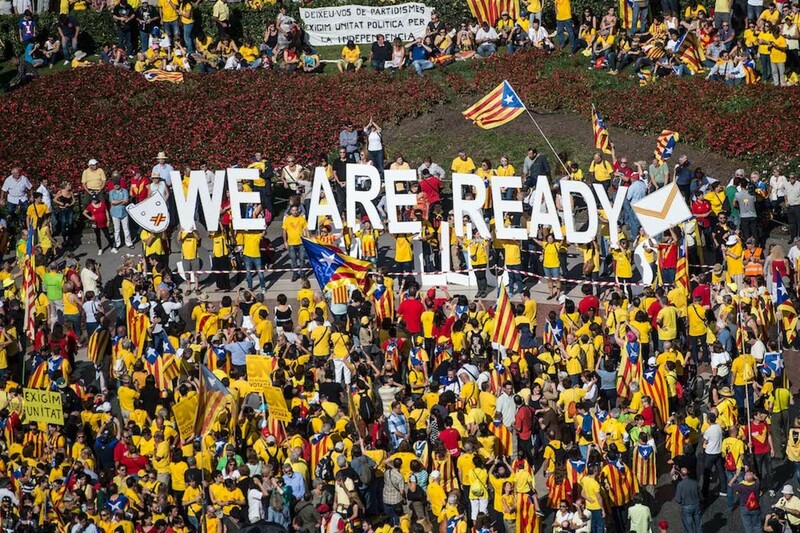 Pro-Independence catalans gather in Catalunya square during a rally in Barcelona, Spain. Unusually for an E.U. member state, Spaniards tend to view the E.U. 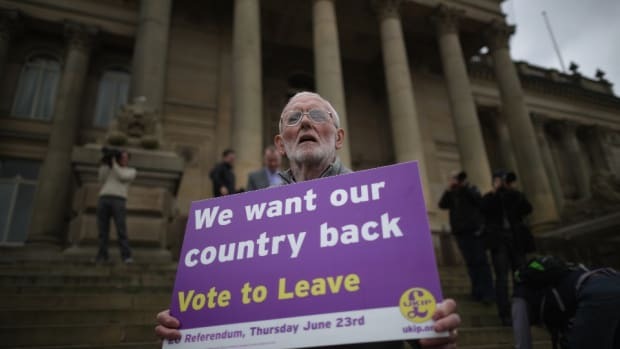 as a guarantor of democracy, not the reverse. When Spain joined the political bloc in 1986, it was only 11 years removed from Francisco Franco&apos;s brutal 40-year dictatorship. In this context, E.U. membership offered international protection for Spain&apos;s nascent democracy. Now, at a point in time when the E.U. is faced with surging anti-E.U. 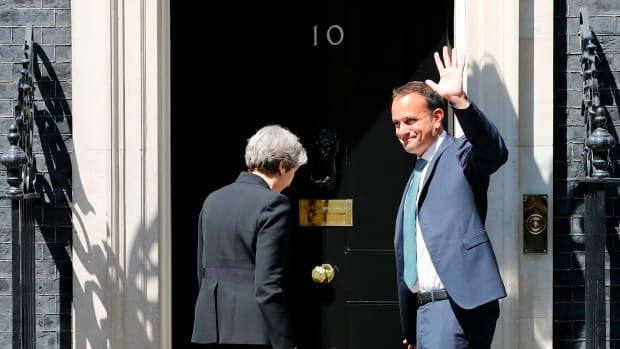 movements and trying to negotiate a Brexit deal that emphasizes the value of staying in the E.U., alienating a staunch supporting member state would be risky. For all that, though, the Spanish government&apos;s response to the referendum has placed the E.U. in a precarious position. A quick image search for "Catalonian referendum" yields disturbing photographs of voters being dragged away from polling stations, clubbed by riot police, and bloodied by the Spanish Guardia Civil. By choosing to use brute force in response to referendum voters, 90 percent of whom supported the idea of independence, the Spanish government has made it impossible for E.U. officials to unreservedly support Spain&apos;s right to protect its sovereignty without also seeming to support violent repression. Faced with the difficult task of finding a politically and morally acceptable balance between disavowing violence and affirming the referendum&apos;s illegality, the E.U. has, largely, opted to do nothing. 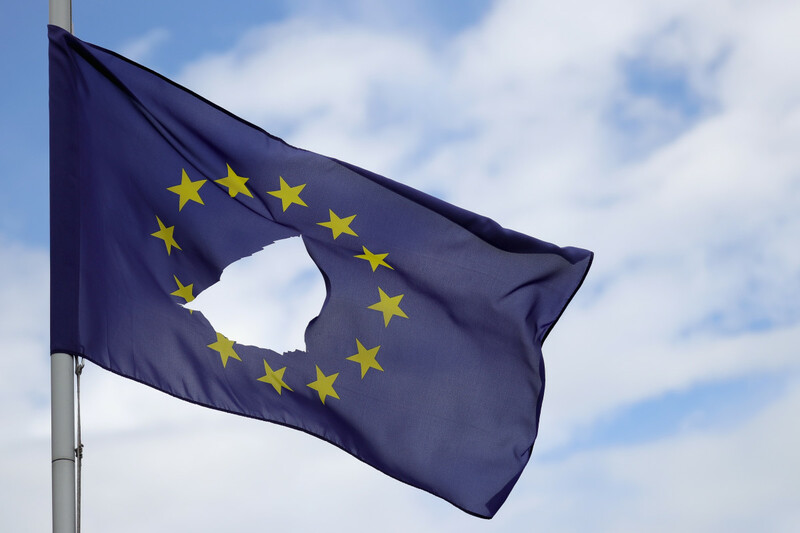 The European Commission&apos;s official statement on the referendum mentioned the violence only once, saying that "violence can never be an instrument in politics." This anodyne platitude, already sweepingly vague, was undermined even further by its very next sentence, which insisted that the E.U. "trust[ed] the leadership of [Spanish] Prime Minister Mariano Rajoy." In its quest to maintain the status quo, the E.U. has angered many Catalonians and tipped its hand in showing a preference for stability. The E.U.&apos;s response to the recent vote for independence in Kurdistan is similarly telling. The Iraqi Kurds, a minority ethnic group located in the northern part of the country, make up nearly 20 percent of Iraq&apos;s population. In contrast to other Kurdish groups in Syria and Turkey, Iraqi Kurds have their own autonomous government, one recognized by the Iraqi constitution. But, as in Catalonia, a sizable degree of autonomy hasn&apos;t dampened calls for secession and independence. In addition, the outcome of the independence referendum was even more convincing than that in Catalonia: a 72 percent turnout rate, with 92.7 percent in favor of independence. Clearly, the Iraqi government&apos;s concessions to the Kurds haven&apos;t been enough to overcome the memory of sectarian tensions, as well as a legacy of government discrimination against Kurds that was especially pronounced during Saddam Hussein&apos;s regime. These historical injustices have kept the idea of an independence referendum on the Kurdish agenda for years—the group first announced a referendum vote in 2014. However, the more pressing need to combat the growing threat posed by ISIS quickly sidetracked the vote. With no time seeming like the right time, Iraqi Kurds opted to bite the bullet this year, holding a referendum vote on September 25th. 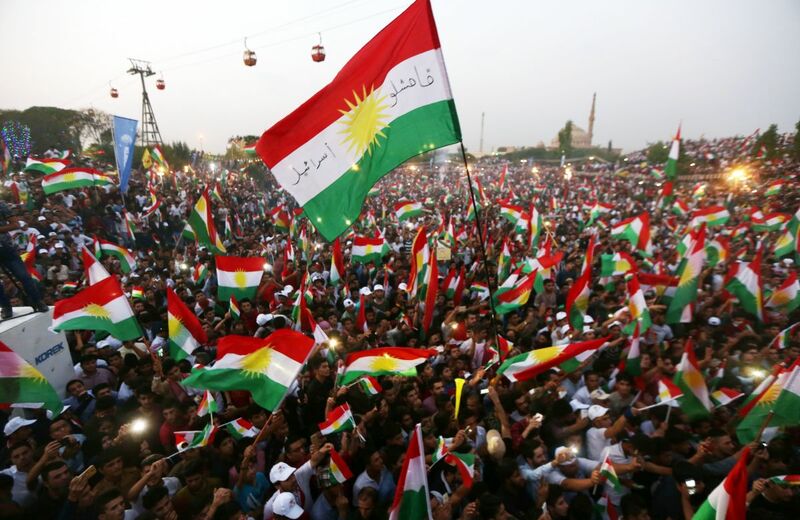 Iraqi Kurds fly Kurdish flags during an event to urge people to vote in an upcoming independence referendum in Arbil, the capital of the autonomous Kurdish region of northern Iraq, on September 16th, 2017. To no one&apos;s surprise, this move was controversial. Iraq&apos;s international allies and regional counterparts opposed the referendum, suggesting that it could prompt further destabilization in the region. Turkish President Recep Tayyip Erdoğan was particularly vehement when urging the Kurds not to follow through on the referendum vote, hinting that the vote may "deprive" the region of the opportunities it currently has. Erdoğan&apos;s opposition is unsurprising, since the referendum could pose a major threat to Turkey&apos;s own stability: Nearly 20 percent of Turkey&apos;s population is Kurdish, making the Kurds the largest minority group in the country. Turkey wasn&apos;t the only one against the Kurdish referendum, though. Although the E.U. has no potentially secessionist Kurdish regions within its own borders, it openly voiced its opposition to the referendum. In a statement by E.U. High Representative Federica Mogherini before the vote, the E.U. reiterated "its steadfast support for Iraq&apos;s unity, sovereignty and territorial integrity," adding that the referendum would be "counterproductive." What, then, can we make of the votes in Catalonia and Kurdistan? Given that the E.U. is already struggling to manage surging right-wing support, mass immigration, and terrorism, it&apos;s perhaps understandable that the supranational organization appears to be shying away from getting involved with truly any issue that could further unravel geopolitical stability—whether that stability is in Europe or the Middle East. Yet it&apos;s surely aware that its inaction on these referenda could be seen as contradictory to its pro-democracy agenda. 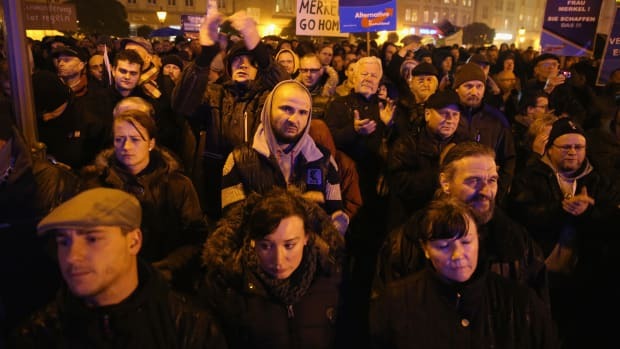 And, indeed, leaders of both referenda have been disappointed by the E.U.&apos;s absence and its lackluster response to what they consider to be a fight for freedom and democracy. Right now, though, the E.U. feels a need to prove its value to member states, and one way of doing that is to demonstrate that it&apos;s a source of stability in a precarious world. As euroskepticism continues to rise, the E.U. may be better served by hunkering down and preserving the current order rather than sailing into the uncharted waters of grand new initiatives. And this is to say nothing of the fact that the E.U. is also grappling with democratically backsliding member states, delicate Brexit negotiations, and an increasingly isolationist United States. It seems that, for now, the European powers-that-be have decided to throw their weight behind preserving stability rather than engaging in knotty debates about the limits of, and appropriate pathways to, self-determination, independence, and statehood. In a time of uncertainty, the E.U. has placed its bet on the status quo. 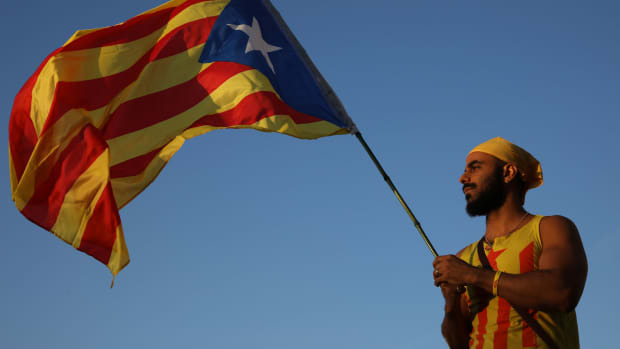 Bad timing, political limitations, and a lack of effective legal recourse are keeping the European Union out of the fight over Catalonian separatism. 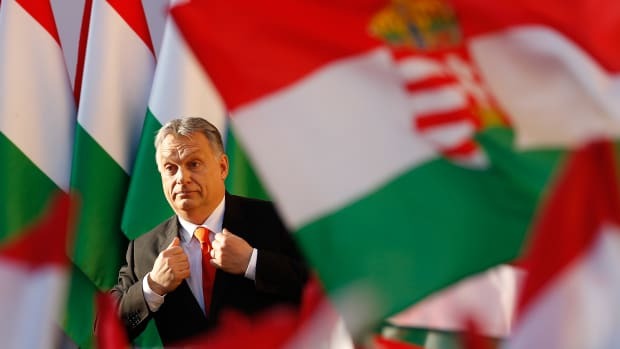 The prime minister of Hungary is currently dealing with worker protests, but his ascent was driven by anti-immigrant sentiment and difficult economic circumstances.